The School District #60 band program teaches students all aspects of music and instrument playing to students from grades 6-12. The program comprises 9 Elementary schools, 2 Middle schools and 1 High school. The band program has received acclaim both regionally and nation wide. 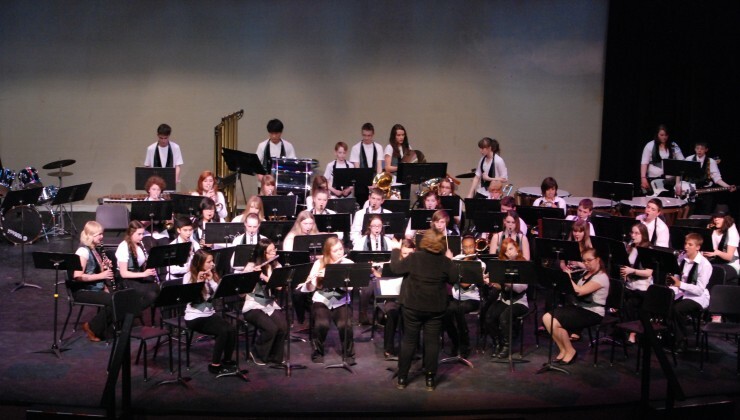 The SD#60 Concert band, consisting of students from Dr Kearney and Bert Bowes Middle schools, will be traveling to Ottawa this May to take part in Musicfest Canada, after having received an invitation to perform this past year. Students from all in town Elementary schools and 3 rural schools can sign up for this program on our band website for the grade 6 intake. This popular program has a waiting list of over 150 students!